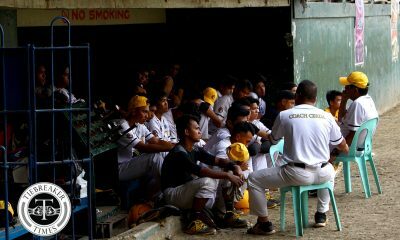 The University of Santo Tomas Golden Sox carved another comeback victory against the University of the Philippines Fighting Maroons, 8-7, and snared their fourth win to stay in contention for that bronze trophy, Thursday at the Rizal Memorial Baseball Stadium. After a scoreless first inning, the Maroons started this hitting-spree game. Rookie second baseman JC Yang has wasted no time and sent UST starting pitcher Ron Dela Cruz’ first delivery to deep right-center for a base hit. Gabby Yang then successfully bunted to advance his cousin to scoring position after a failed fielder’s choice attempt. With potential runs on board, sophomore catcher Javie Lopez drove a long fly ball to center fielder Gio Martinez to score his second baseman. Dela Cruz finally ended the barrage as he fanned James Legaspi for the second time in the game. In their end of the second inning, UST was able to overhaul the run and took the lead themselves. Veteran shortstop Kirk Daquis fired off a 2-1 pitch to center-left for a solo homerun and tied the game at 1. Buoyed by that Daquis solo effort, Julius Diaz registered a double to threaten more runs. In an ensuing play, Alwen Calbang and Diaz added two more runs and UST wrested the lead over the Maroons, 3-1. A wild top of the third inning could have gave UP back the advantage, but the Tigers played heads-up defense to deny the attempt. After Maroons captain SJ San Juan grounded to second baseman Jamil Santiago, JJ Cinco plucked a double to left field to start off the rally. JC Yang put in another base hit and scored Cinco to cut the deficit at one, 2-3. Gabby Yang got on base thereafter with his first hit of the game. With runners on prime scoring position and with Phonso Balagtas at the plate, UST attempted to pick off the Yang cousins. The outfielder Yang had an early tag up, while the infielder had some time to steal home. Nonetheless, UST managed to tag JC, and then Gabby, out to complete the double play and end the inning. As if to make amends for the decision mistake, the Maroons blasted five more runs in the fourth inning to mark their final lead of the match. 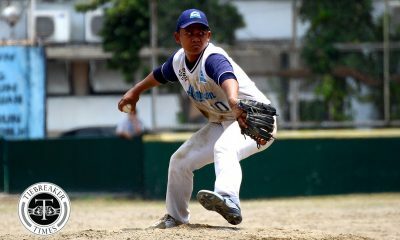 It was a sorry start for substitute pitcher Daquiz’ solitary stint at the mound when he walked two consecutive batters in Balagtas and Lopez. 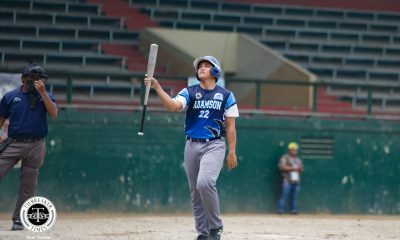 The Maroons then pounced on the opportunity as Balagtas scored off a wild pitch with Mark Tuballas at bat, and Legaspi sent Lopez home, 4-3. A Mosh Chavez double drove in a Legaspi run, before the former crossed the plate himself off a San Juan single, 6-3. After the Maroons skipper was tagged at home, Cinco registered UP’s fifth run of the inning as the advantage ballooned to four, 7-3. 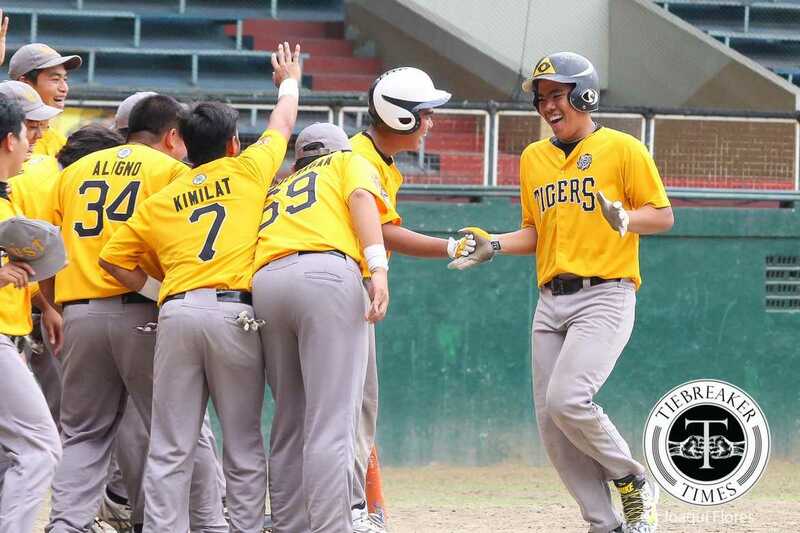 UST finally ended the agony with a ground out of JC Yang. UST then turned to their defense in the following innings while they mounted their own comeback attempt. The España-based batters picked off another run at the sixth inning. With Diaz driving another double, lead-off batter Martinez rewarded the former with an RBI single. 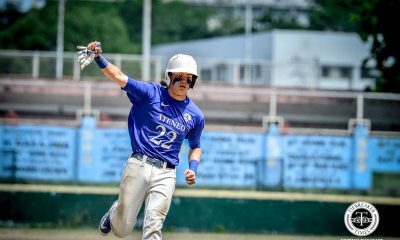 At the seventh inning, Max Mercado started off UST’s offensive juggernaut. 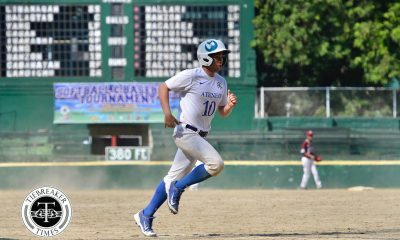 The fourth-year veteran duplicated the Diaz’ double and scored Santiago for UST’s fifth run, 5-7. Mercado then reached home after a throwing error by San Juan and further trimmed the lead to one, 6-7. Despite going 0-for-2, Calbang was intentionally walked to load the bases. Firing since the start off the game, Diaz drove in yet another double to send Mercado and Aligno home to get the lead and the final score line. The Maroons worked on their defense and attempted to reclaim the lead on their turns at bat. Nonetheless, the Golden Sox stifled the opponents’ attempts and finished off another come-from-behind victory over the Maroons. 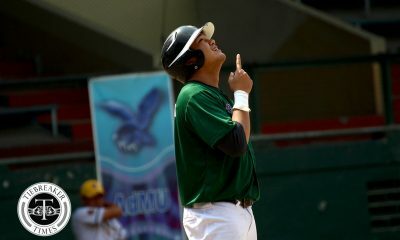 Golden Sox’ rookie Diaz had a monstrous effort at the plate with a perfect 3-of-3 hitting with 2 RBIs and scored 2 runs for UST. The Thomasian defense had a great outing on defense, stranding 9 Maroon runners on the bases. On the other hand, UP newbie JC Yang was the brightest spot for the team on offense, hitting 3-out-5, and on defense, getting involved on 7 dismissals.